Whatever can be said of Joseph Carini it is bound to be the superlative. 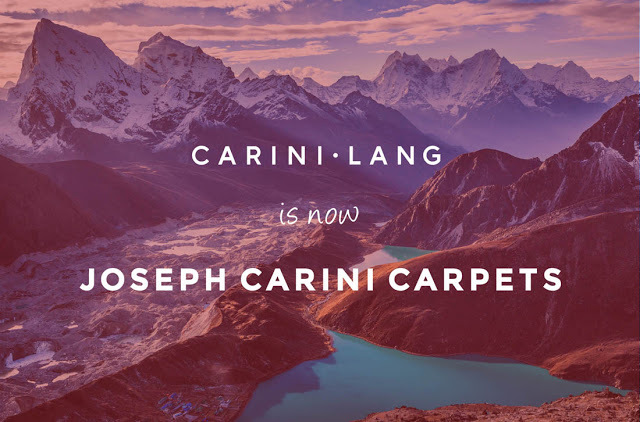 It’s in his nature, it’s in his ethos, and it is certainly in the carpets he has been producing since 1997 when he and Aurelie Lang started what was then called ‘CariniLang’. 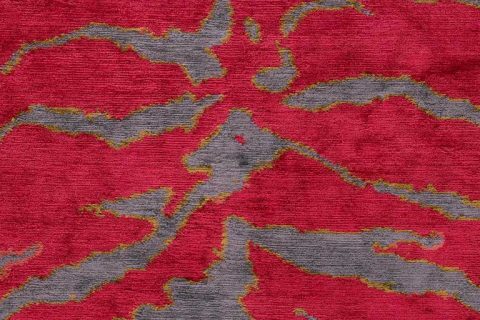 Since then much has changed in the world and indeed in the world of rugs, though in this case rugs seems to inappropriately cheapen what are carpets in the truest meaning of the word. One year ago Joe (as he is known) Carini assumed full ownership of the company he help found and consequently embarked on a name change to best identify the brand and bring clarity to clients regarding Joe Carini’s role as owner, creative director, and designer. Though again, designer – with all due respect to every great designer out there – is woefully inadequate to describe Joe’s passion, knowledge, and understanding, of genuinely authentic carpet making that attempts ‘to rival the quality of the best carpets of past epochs’ to quote his own propaganda. Joe is an artist, his carpets are art, and it gives me the greatest pleasure to invite you to re-familiarize yourself with ‘Joseph Carini Carpets‘. Along with a sparkly new name – which includes a boldly strong typeface in the new logotype, the company will be launching some new and exciting artist collaborations over the coming months. Some of these include (but are not necessarily limited to) work with an Italian design icon (Ooooooooooh! ), a Japanese master of the brush (Aaaaaaaaaah! ), and a modern pop artist with big ideas (Hmmmmmmmmmm?). All joking aside, if past performance is any indication of future performance we, as connoisseurs of fine carpets, are to be like kids in the proverbial candy store, except ours will be the most magnificent, opulent, tremendous, stupendous, gargantuan bedazzlement of a carpet gallery if ever such a thing properly existed. So, if you fancy yourself as a dandy with impeccably discerning taste, you should be a fanatic just as I am. 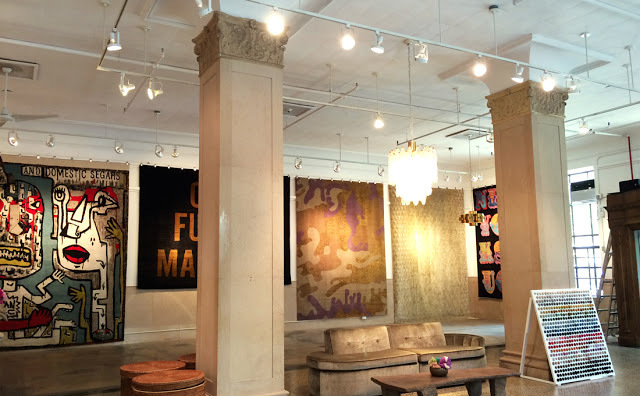 Joseph Carini Carpets are available directly from their TriBeCa Gallery (showroom sounds so downmarket) and through an exceptionally limited and discrete selection of superior rug and carpet showrooms. For more information, please visit: Joseph Carini Carpets. By the way, do you know who fucked Madonna? Cost. Cost Fucked Madonna. Enjoy!